Milledgeville, Georgia June 27, 2016 – The City of Milledgeville Main Street/ Downtown Development Authority Program has been designated as an accredited Main Street America™ program for meeting rigorous performance standards set by the National Main Street Center. 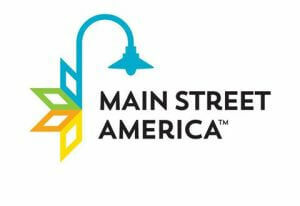 Each year, the National Main Street Center and its Coordinating Program partners announce the list of accredited Main Street America programs in recognition of their exemplary commitment to preservation-based economic development and community revitalization through the Main Street Approach®. The organization’s performance is annually evaluated by the Georgia Main Street Program, which works in partnership with the National Main Street Center to identify the local programs that meet ten performance standards. Evaluation criteria determines the communities that are building comprehensive and sustainable revitalization efforts and include standards such as fostering strong public-private partnerships, securing an operating budget, tracking programmatic progress and actively preserving historic buildings. As part of the annual assessment process, Milledgeville Main Street reports each month on the progress of the local program. According to the 2015 Community Impact Report, there were 133 promotional event held downtown, 12 building rehabilitation projects, 44 public improvement projects and a net of 7 new businesses opened! 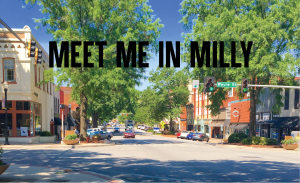 Milledgeville Main Street/Downtown Development Authority’s mission is to inspire public and private investment in the revitalization, preservation, and promotion of the downtown business district in order to strengthen the economic base of Milledgeville-Baldwin County. Main Street America has been helping revitalize older and historic commercial districts for more than 35 years with a network of more than 1,000 neighborhoods and communities, rural and urban, who share both a commitment to place and to building stronger communities through preservation-based economic development. Since 1980, communities participating in the program have leveraged more than $65.6 billion in new public and private investment, generated 556,960 net new jobs and 126,476 net new businesses, and rehabilitated more than 260,000 buildings. Main Street America is a program of the nonprofit National Main Street Center, a subsidiary of the National Trust for Historic Preservation. Dev. Auth. of Milledgeville & Baldwin Co. The City of Milledgeville is an equal opportunity employer and provider.